Commercial renovations rely on consistent scheduling during every phase of the process. First State Contractors in West Grove, PA employs only the most professional craftsmen that will keep your project working to meet appropriate deadlines. Pre-Construction Planning – Involves designing the budget, drawing the plans, and scheduling the work for the construction or renovation. Project Scheduling – The itinerary of events to be scheduled for the project with dates. Cost Estimating – Budget for entire project. Design Review/Value Engineering – Review the design at all stages of development. 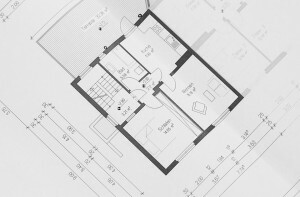 Construct-ability Review – Determines if the renovation or construction is viable. Scope Definition – A detailed list of project duties and deliverables produced by the team. Weekly or Bi-weekly Meetings Based on Schedule – Meeting to go over the logistics of the planned project. Detailed Schedule Updates – Updates are made to the schedule as the work progresses. Subcontractors Weekly Meetings (Schedule, Change Orders, Safety, etc.) – The subcontractors meet regularly to discuss any changes, delays, or orders to be made. Owner Change Orders- Time Extensions – Appropriate changes are made to the schedule if the owner decides to add or remove items from the original project details. Inspections (State & Local) – State and local building inspections allow construction to continue in a timely fashion by making sure the construction does not violate building codes. Payment Applications – A payment schedule including the down payment and weekly or monthly installment rates. Request for Information (RFI) – A document used to gather written information about a supplier. Submittals- Subcontracts – Subcontractors submit reports that detail the material they will need to complete the project prior to construction. Material Ordering – Selecting quality materials for the project. Sub Back Charges – A charge to the subcontractors or general contractor if items were damaged or work was not completed. Independent Inspections & Testing – An independent inspection company that inspects the property, renovation, and construction. Punch List – A detailed list of items that are not inspection ready and must be completed before final payment is rendered.